Full of historic buildings, cathedrals, castles, towers, bridges and cobblestone streets, Europe has some of the prettiest and photogenic cities in the world. While popular cities like Paris, Rome and Prague are consistently found on lists of the most beautiful cities in Europe, there are many more charming and picturesque European cities that are less well known or overlooked by most travelers so I decided to ask my fellow travel bloggers to name their favorite beautiful European city. 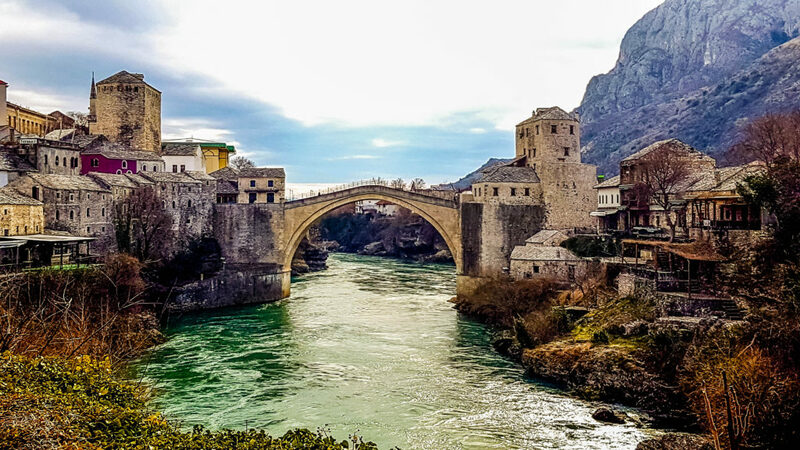 If you are looking for a destination that is more off the beaten path on your next trip to Europe, read on for the most beautiful and underrated cities in Europe that are worth a visit. With its cobbled streets and fairytale charm, the compact medieval city of Ghent, is often overlooked by travellers who make a beeline for Bruges. 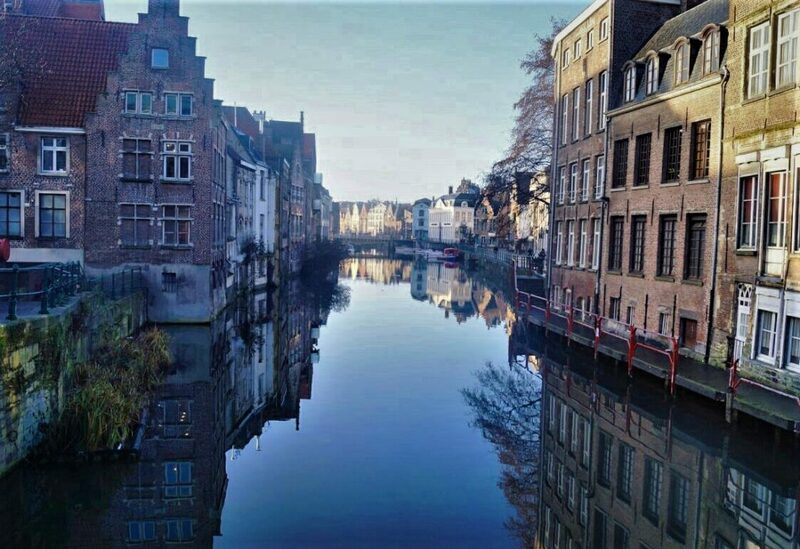 But less than a 25 minute train journey away from its dominating neighbour, travellers are discovering the quaint canal-side architecture, edgy art scene and quirky bars of Ghent. You can visit Gravesteen (the castle), take a boat trip around the central district, climb the Belfry on a clear day for panoramic views, or visit one of the superbly designed museums. An absolute must do is to hire a bike and tour the city’s vibrant street art. From the moment you arrive at the front gate of the old city of San Marino you can’t help but feel like you’ve been transported up the hill and back in time. Medieval music sets the scene as you wander the narrow stone-paved alleyways that open into secret gardens. This tiny fortress city sits atop Mt. Titano overlooking the rolling hills of San Marino and northern Italy. Don’t plan to go anywhere in a hurry…as you walk every turn is met with yet another stunning view just begging to be photographed. 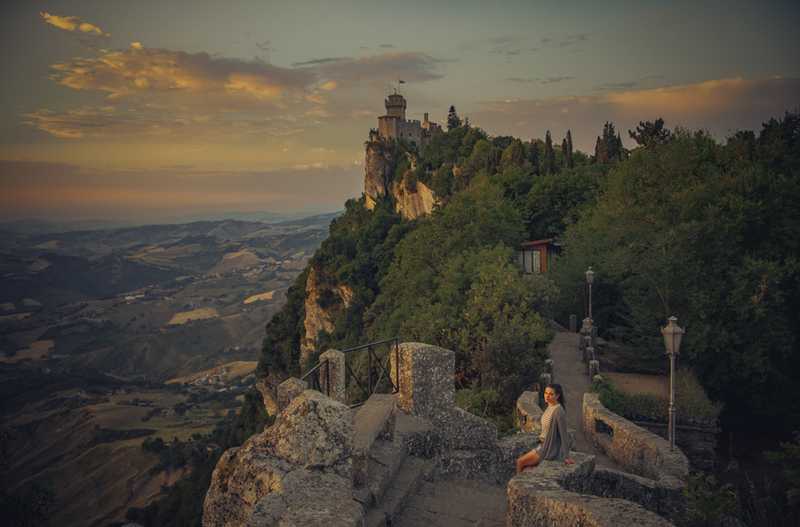 Explore the iconic 3 towers of San Marino, eat life changing food, watch a crossbow tournament, and wonder for yourself how this could be the least visited country in all of Europe. For the best photos wake up early and capture sunrise from the stone bridge between the first and second towers. After that, resist the urge to go back to bed so you can shoot golden hour before everyone wakes up. Don’t miss the sunset views from tower 2. 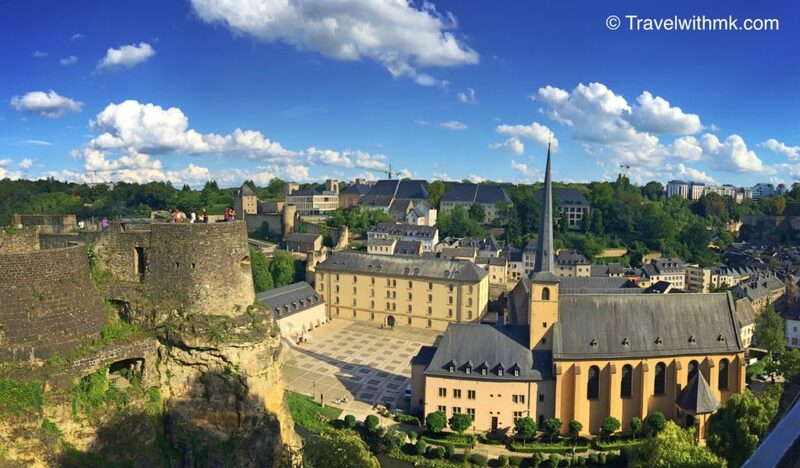 Let’s be honest: Luxembourg City is often overlooked by travellers. But as someone who grew up in the capital of the Grand Duchy of Luxembourg, I can assure you that our capital is one of the most beautiful places in Europe, and totally worth exploring. Founded in 963, Luxembourg City is so full of historic monuments that UNESCO decided to list the entire Old City as World Heritage in 1994. If you like strolling through winding cobbled alleys, along a picturesque river and charming medieval houses, then you should definitely spend a day in the old quartiers of Luxembourg City. Beneath the former castle of Luxembourg, you can also explore the underground galleries dating back to the 17th century, called the Casemates du Bock. In the upper town of Luxembourg’s capital, you can visit the Grand Duke’s palace or one of the many museums, or simply cross the Adolphe Bridge built in 1900 to enjoy panoramic views. Foodies can savour local specialties in one of the Michelin-starred restaurants or inside the Ilôt Gastronomique. Since the capital of Luxembourg houses several European institutions, it’s home to over 150 different nationalities. Luxembourg City is thus multilingual and multicultural. Last but not least: one third of the city is covered in green spaces, perfect for those who want to run away from the hustle and bustle of big cities. So what are you waiting for? Whether you’re in Paris, Brussels, Frankfurt or Strasbourg, you can reach Luxembourg City in only 2 hours by train. If you haven’t considered Vilnius as one of the most beautiful places to visit in Europe then you need to reconsider. You will be blown away by just how cool and hip Lithuania’s capital city actually is surrounded by the breathtaking architecture of Medieval Old Town. In fact, the old town of Vilnius is the largest in central and eastern Europe. With it’s bustling cafe scene, hip pub culture, beautiful architecture but most noticeably it’s warming sense of history it is hard not to completely fall in love with Vilnius. The cost of living in Vilnius is extremely cheap (we are talking €3.33 for return train tickets cheap!) and there is so much to see and do there. 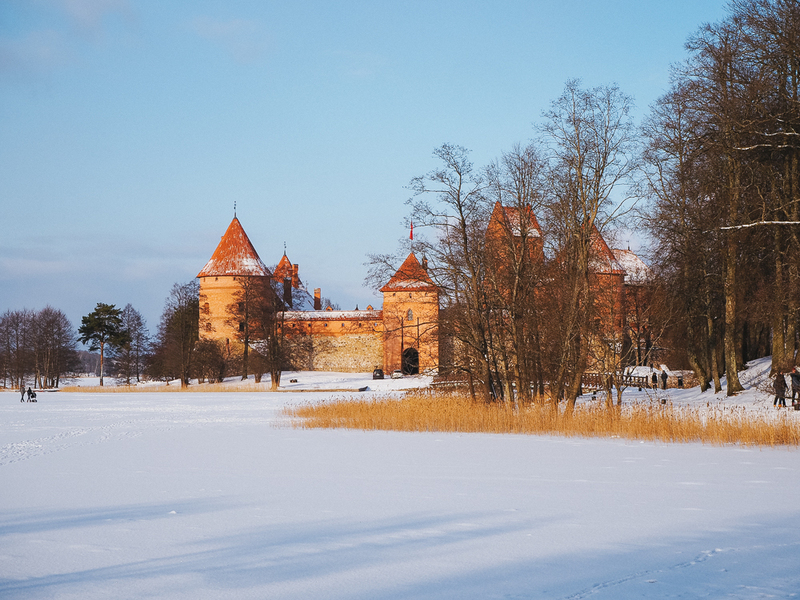 The best things to do in Vilnius include visting Užupis (a country within a city! ), climbing to Gediminas Tower or the Hill of the Three Crosses for the most stunning rooftop views, getting lost wandering the streets of the old town, acting like a kid for the day at the Illusion museum, visting the harrowing KGB museum or taking the train, yes the one that costs €3.33, to the beautiful Trakai Castle. Getting to Vilnius couldn’t be easier with an airport just five minutes from the city centre or train links throughout eastern Europe. 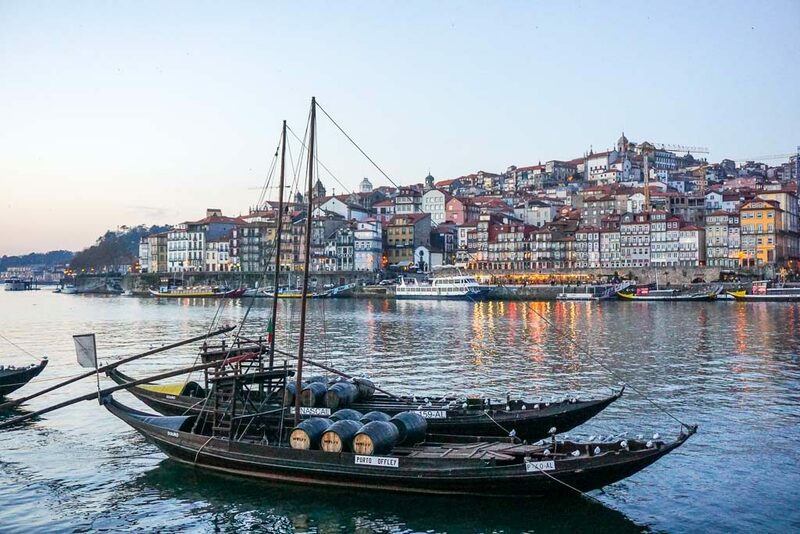 Porto is Portugal’s second largest city, and although it’s often overshadowed by the popularity Lisbon, Porto has a charm and beauty that’s definitely worth exploring. It’s split in two by the Douro River, with colourful tiled and painted buildings covering the hills on one side, and Port Wine Cellars being the main feature on the other. The views of both sides from the Dom Luis Bridge that connects them are stunning to say the least. Aside from visiting the Port cellars and sampling the wine, you can visit the Livraria Lello bookstore that’s said to have inspired J K Rowling when she lived there and explore the old town with it’s beautiful blue and white tiled churches. And don’t forget to try the Francesinha, sort of like Portugal’s version of a croque-monsieur, invented in Porto. 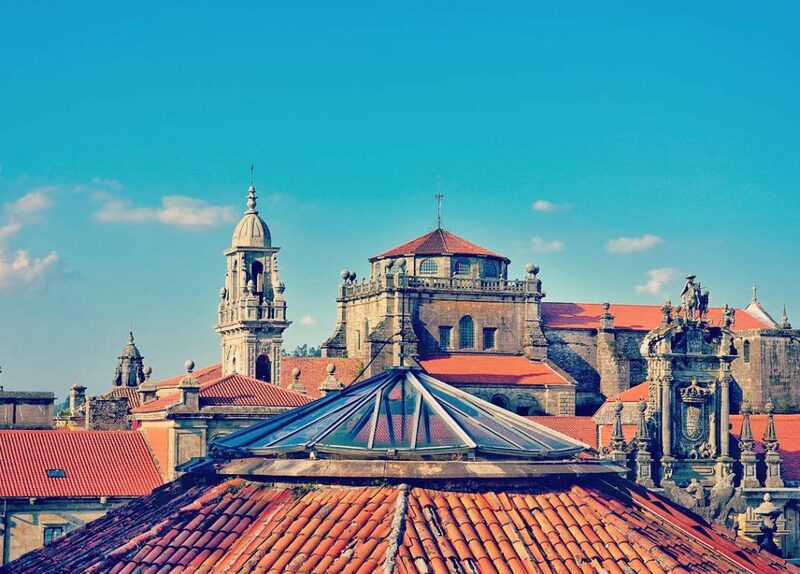 Here are some of the best things to do in Porto. Sibiu is located in Romania’s region Transylvania and probably my favorite place in the country. The city is very picturesque with old buildings, cobblestone streets and full of history and culture. Since Sibiu was built by German settlers a few centuries ago (it’s original name was Hermannstadt), the German influence is easily visible and many people actually still speak German fluently. For a fantastic view of the city, go to the top of the clock tower of the cathedral. There’s also a lot to do and to see outside of the city. Visit Castlelul de Lut, the famous clay castle which is built into a hotel at the moment. Romania and especially Transylvania is a wonderful region to explore! 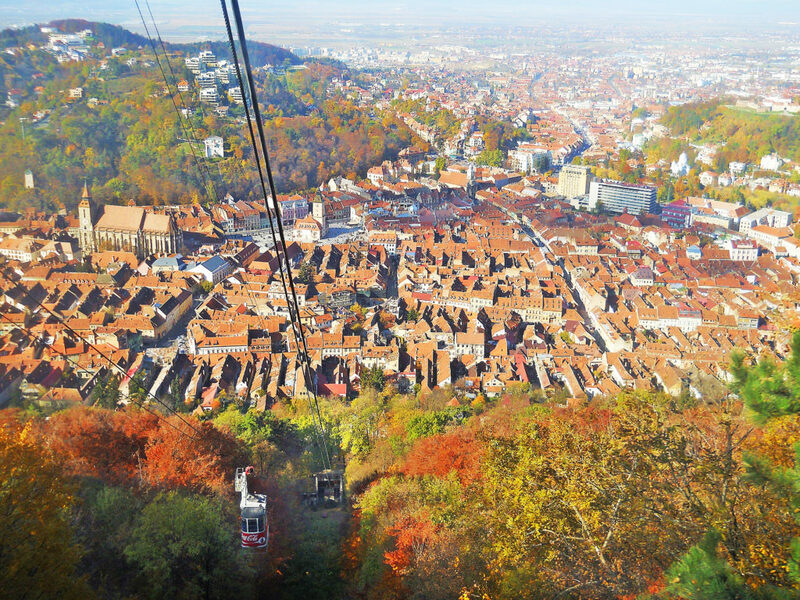 If you wish to visit Romania, then it is impossible not to add Brasov to your itinerary. Founded in 1211 by the Teutonic Knights, the city is sprinkled with historic buildings of rare beauty and eye-catching architecture. Being located in an area with beautiful nature, in Transylvania, and at the foot of Mount Tampa, the city has a special allure. No matter from what part of the country you’re coming, it is very easy to get to Brasov, thanks to its location, exactly in the middle of Romania. 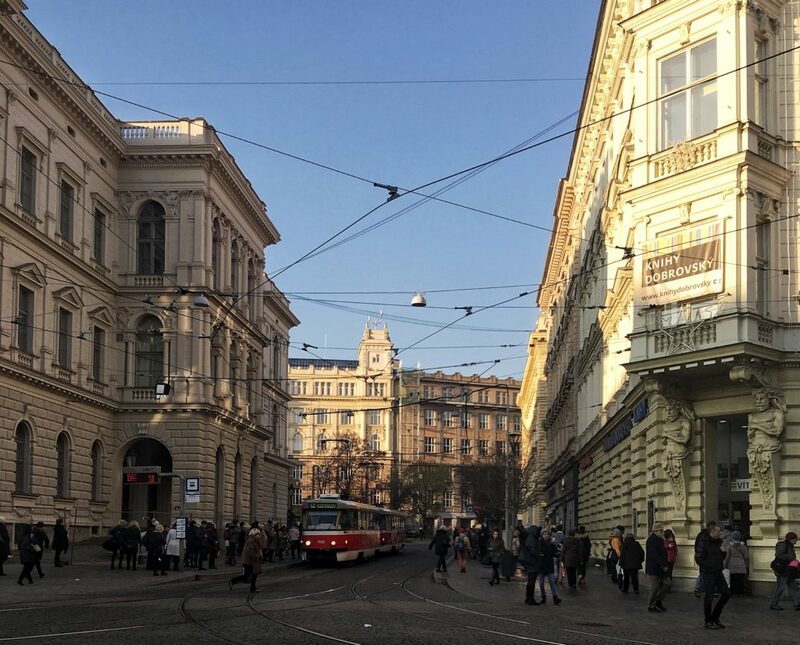 Once there, you must visit the Council Square, the Black Church, Schei district, Catherine’ Gate, St. Nicholas Church, the first Romanian school, and of course, the famous Rope Street, one of the narrowest streets in the world. It is equally important to climb Mount Tampa, and admire the city from the top. I assure you that the view will cut your breath. And if you are a fan of vampire stories, then you have to visit Bran Castle or Dracula, how it is known internationally, situated just one hour away from Brasov. 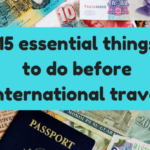 RELATED – Planning a trip to Europe soon? Make sure to check out our Europe Packing List for all the travel essentials for Europe. Looking for an extremely beautiful city to visit in Germany? Then head to Bremen in northern Germany. 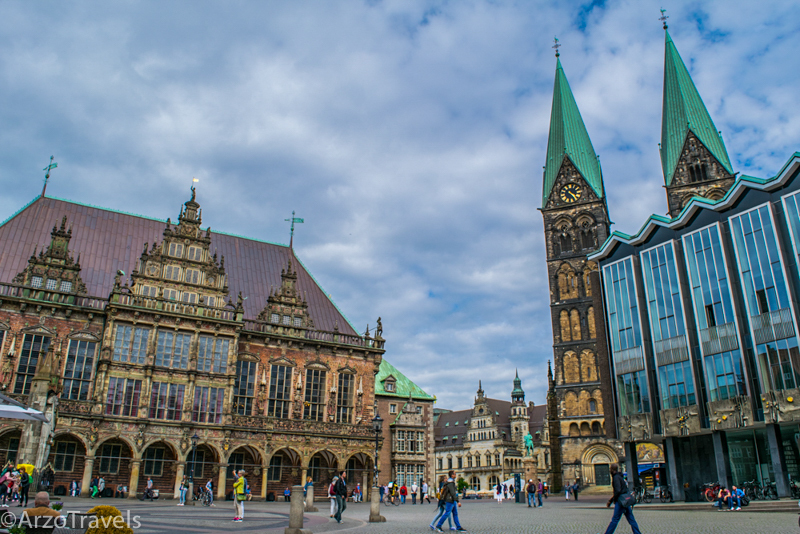 Many people assume Bremen is a town though with more than 500,000 inhabitants it is one of the biggest cities in Germany and definitely one of the prettiest. The old town, the very well maintained medieval history part of Bremen, is one of the best places to see. The houses are old and colorful, the streets sometimes so narrow that a stroller would not even fit in, and full of live and cute cafes. For the best place to dine head to The Schlachte – you have many restaurants and cafes lined up along the Weser River. After a few days in Bremen (hopefully a few sunny days) you will realize that this city is a beauty and a must-see place in Germany! 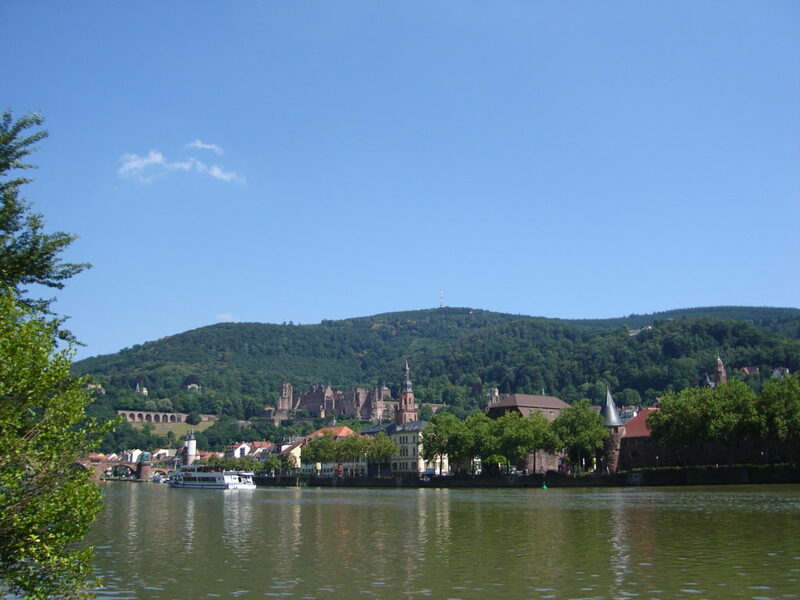 With its castle surrounded by woodland overlooking the River Neckar, the historic university city of Heidelberg has been enchanting visitors for centuries. Perhaps one of the best cities for a student exchange semester, Heidelberg is a true meeting point for the world and a pioneer in research across all academic fields. Embrace the old world charm of its cobbled streets, discover the legend of the student prince and admire the views both from the castle and the Philosopher’s Way opposite. A magical place all year round. Ronda is the largest of Andalusia’s many ‘pueblos blancos’ (white towns) and its unique terrain makes it one of the most beautiful places in Europe. The old and new towns are split by a huge, deep gorge and the white washed buildings teeter atop the two rocky formations. 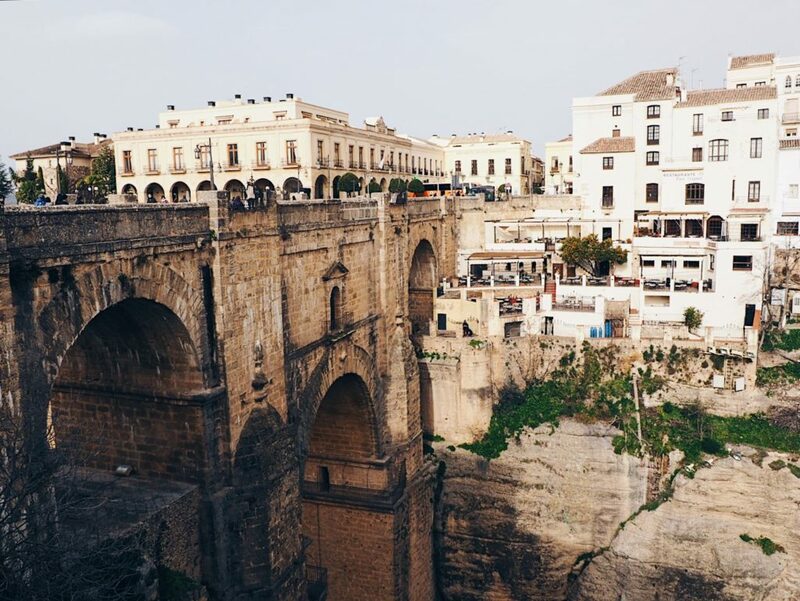 It’s something of a hidden gem in Spain and doesn’t have a whole lot of typical tourist attractions, but it’s definitely worth spending a day in Ronda if you’re in Costa del Sol. The area produces some delicious local wines and the rustic local restaurants serve excellent food. You can visit one of Spain’s oldest bullfighting rings or do some rock climbing on the city’s famous gorge – or just explore on foot. Ronda is just an hour from Malaga, and definitely worth a visit if you love sleepy cities and beautiful views. As the tourist crowds flock to the Mediterranean and Southern parts of Spain, the Northwest corner of the country awaits those in the know. Celtic origins, important Middle Ages remains, unique traditions and festivals, one of the best cuisines in Southern Europe, warm people and jaw-dropping scenery are just some of Galicia attractions. However, if we had to pick the crown jewel, that’d be Santiago de Compostela. A UNESCO World Heritage Site, this city is also the capital of Galicia and the end of St. James Way, a pilgrimage trail with over 800 years of history. If you make it there, let me know and I will give you a few tips depending on what you like. I am based really close to Santiago de Compostela as I haven’t found any other place in the world as great as this! Valencia is a gorgeous city to visit. Nestled on the east coast of Spain it is a city which has long stretches of golden beach just a 15 minute drive away from the city centre. The centre itself is a beautiful example of a charming, old European city with it’s cathedral, cobbled pavements and market square. 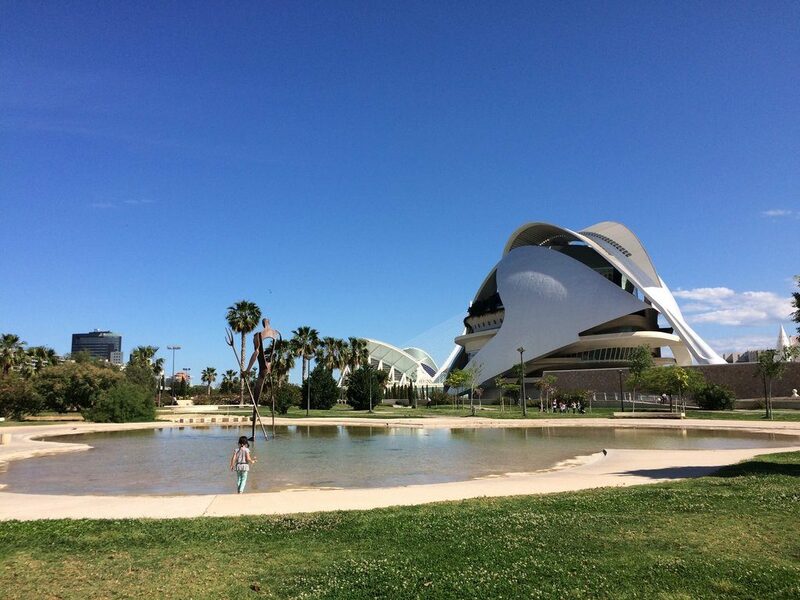 Yet it also has contemporary and futuristic buildings throughout the city, like the ‘Ciudad de las Artes y las Ciencias’ which is a stunning piece of modern architecture. The city has a real buzz about it and you can spend hours people watching in one of the many cafes and restaurants lining the main square. 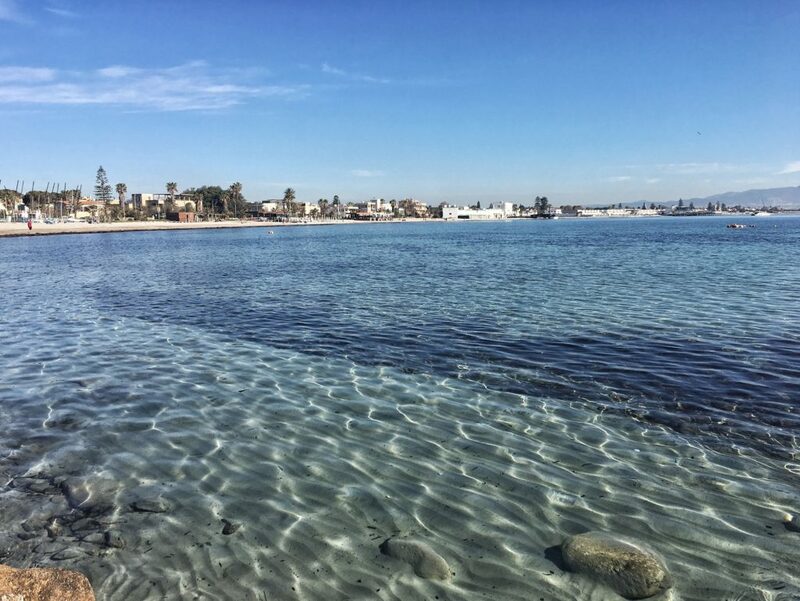 Our favourite things to do were exploring the parks and playgrounds in the Turia riverbed, lounging around on Malvarrosa beach and eating delicious paella in the city. Viva Valencia! 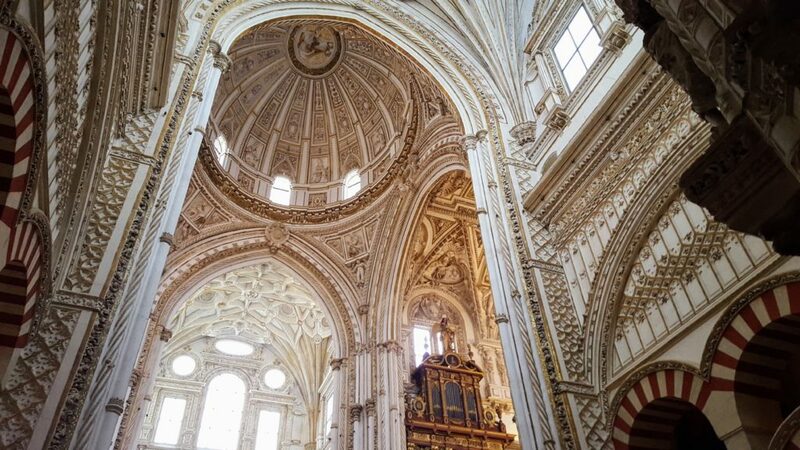 While Córdoba is one of Spain’s smaller cities, it will not fail you when it comes to beauty. First is the Mezquita, or the Mosque-Cathedral, of Córdoba which was originally erected in the year 784 as a Mosque, but has since been added to and taken over through the centuries. Today it’s an eleborate mixture of culture and history that bears different artistry on every wall, and you can even see it for free! Also an option is the annual patio competition! Córdoba’s locals dress up their patios in beautiful collections of flowers every spring, and the winners will open their homes to you to show off their beautiful hard work. Since this tradition’s first year, Córdoba has continued to decorate its walls and buildings with these flowers to spread the beauty around. The medieval old town of Girona in Spain is one of my favourite places in the world. Each time I’ve visited I’ve been blown away by its narrow, winding lanes, ancient staircases and hidden squares. The city ramparts offer spectacular views and you might recognise the enormous Gothic cathedral from Game of Thrones; the town is the sort of place that’s totally filmset-worthy. Even when it rains there’s something magical about the glistening cobblestones and brightly lit shops, bars and restaurants. Talking of which, Girona takes its food seriously. El Celler de Can Roca is the town’s most famous restaurant; it’s got three Michelin stars and is often said to be one of the best restaurants in the world. Brno is one of the most interesting places to visit in Europe, yet much less visited compared to Prague, the capital of the Czech Republic. The city is packed with interesting sights; it is welcoming, and it has a young, fun and friendly vibe. While the center has beautiful churches, squares and is home to a few gorgeous Christmas markets in the winter, it is a bit off the center that there’s a few buildings that make a trip to Brno worth it. Here are some of the finest examples of Functionalist style architecture, which can be seen in the lovely Café Era – a good place to eat and have a drink, by the way; and in the stunning Villa Tugendhat. Just the latter is enough to justify a trip to Brno. The Villa, now a UNESCO World Heritage Site, was built in the early 1930s. The architect who designed it created some incredible spaces – large rooms, big windows to drive light into the house, empty spaces and a gorgeous park around. The Villa can only be visited on a guided tour, and it is necessary to book well in advance to get in. It’s worth the effort. Kutná Hora became one of the most important cities in Central Europe in the 13th century because of all the silver discovered in the ground. Much of the wealth that was made from the mining industry was spent on the grand buildings that you can see here today. The historic centre is relatively small but is a gem of the Czech Republic. The two most important buildings, which together are listed as a World Heritage Site, are churches. The enormous Church of St Barbara has incredible paintings on its walls and ceilings in the Gothic style, while the Cathedral of Our Lady at Sedlec has a more relaxed Baroque appearance. 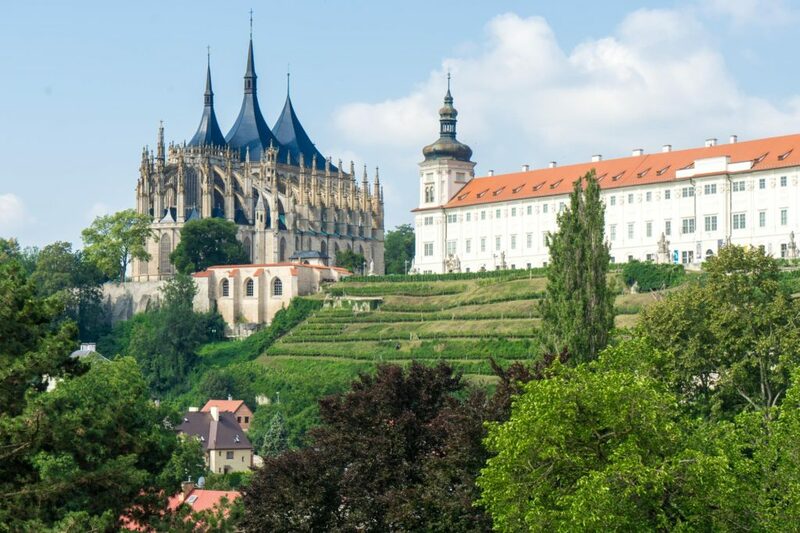 Kutná Hora is just 50 minutes by train from Prague and so it’s a popular day trip from the Czech capital. However, if you stay overnight, you’ll be rewarded with a beautiful medieval town centre without the tourist crowds. With their historic architecture, welcoming attitude, and the convenience of the TGV, small cities and towns in France have an undeniable allure. This is true of no town more so than Strasbourg. About two hours from Paris via high-speed train (TGV), the capital of the Alsace region and formal seat of the European Parliament, also has one of the best-preserved medieval districts in France (indicated by the fact that the entire district is a UNESCO World Heritage Site). Visit its legendary sandstone Notre Dame cathedral (complete with an astronomical clock! ), walk the Grand Île district full of authentic timber-framed houses, stroll through one of Strasbourg’s many art museums, or tour the city’s many canals, and you’re sure to find view after jaw-dropping view. And for this particular iconic view? Climb out onto the Barrage Vauban rooftop patio. You won’t regret it! Read about the best things to do in Strasbourg here. Riga’s Old Town has some of the most beautiful Art Nouveau architecture anywhere earning it the designation as a UNESCO World Heritage Site. The city has over 800 Art Nouveau buildings, but the most famous are the House of the Blackheads, the Three Brothers, and the Cat House. Go up to the 8th-floor observation deck of St. Peter’s Church to get great views of the Old Town. 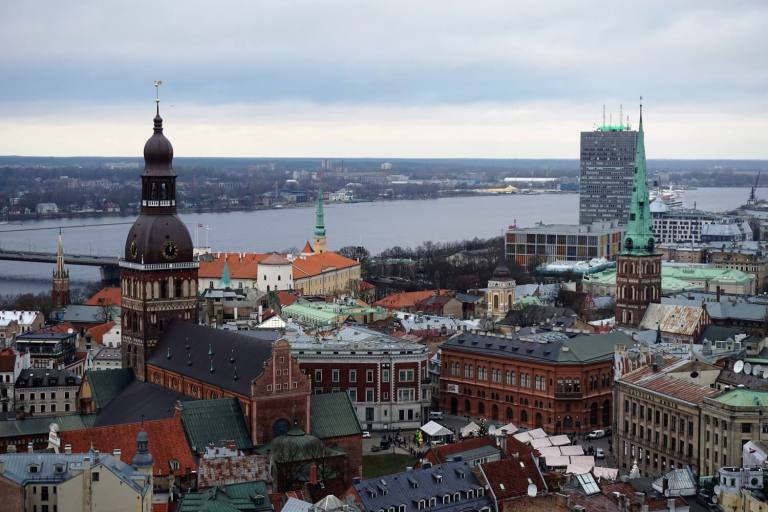 Of course, you will also need to visit some of Riga’s other popular attractions like the Riga Central Market, the Latvian National Museum of Art, and the Museum of the Occupation of Latvia. A stroll along the River Daugava is a relaxing way to end your day of sightseeing in this picturesque city. Situated in the southwestern part of Norway lies a beautiful town named Bergen. Known as the second largest city next to Oslo, this place is always mentioned as one the most beautiful cities in the world. 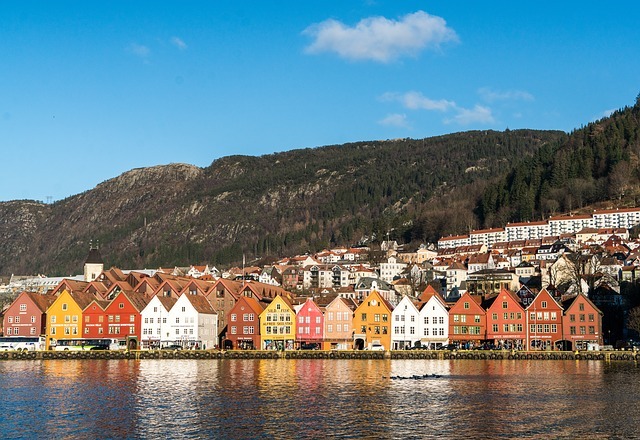 There are a few reasons that make Bergen stand out from the rest of the cities in the world. Its trademark harbor which is filled with colorful houses that stood through the ages is always an eye-candy. And not to mention a part of UNESCO World Heritage List. Nothing beats its unique location which is surrounded by 7 mountains. (The view from the mountains is just Instagram-ready.) Bergen houses a number of cultural events each and every year. Thus, making it the go-to place. There are lots of direct flights to Bergen from Stockholm, Amsterdam, Copenhagen if you’re traveling within Europe. And from New York for people in the US but only in summer. However, a connecting flight from Oslo before arriving in Bergen is never a problem. If you have time to spare, you can take a 4-hour train ride from Oslo- Bergen. 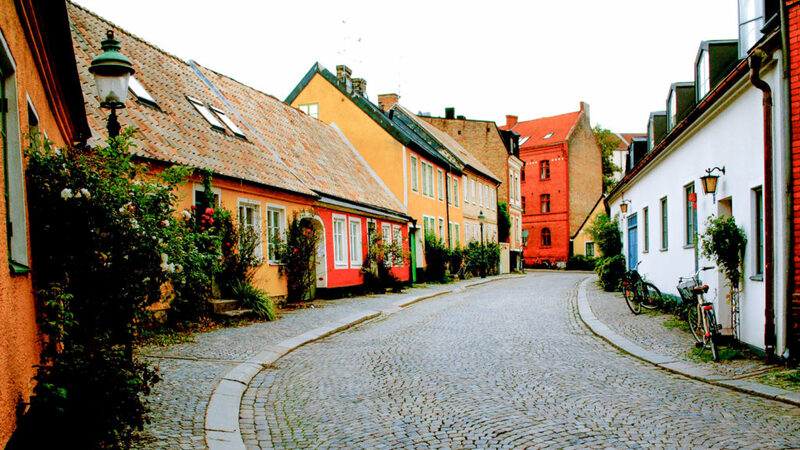 Lund is situated at the very south of Sweden and is a known student town of the largest university in Sweden – Lund University. Same as many university towns, it becomes alive when students arrive at the end of August. Lund is particularly beautiful in spring when the flowers start to bloom and you can see people occupying the Botanical gardens for outdoor picnics. In summer, though, street roses start to bloom creating an extraordinary charm. You can walk the entire city in half a day, stopping by to see the university main building and university library, covered in a plant that changes its color based on a season of the year. Do not miss the oldest open-air museum in Sweden, Kulturen, which will teleport you into ancient Sweden. You can easily get to Lund from Malmo or Copenhagen by train. Plovdiv is one of the oldest and the most beautiful places in Europe because of the rich history behind it. Walking around the city, you’ll see traces of historical pieces like the Roman theater, Roman stadium, museums, monuments, mosques, and etc. My most favorite thing to do here is walking by the Old Plovdiv all the way to the peak of Nebet Tepe, one of the seven hills surrounding Plovdiv. From Nebet Tepe, you’ll be able to appreciate the beautiful city even more from the top. It is the second best city that you should visit if you want to deeply understand Bulgaria’s rich history. 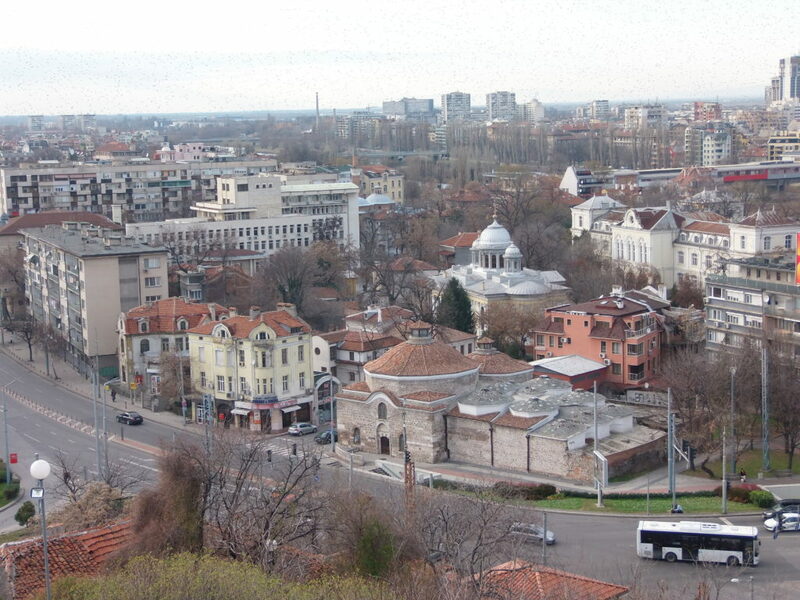 Lastly, going to Plovdiv is not difficult since it is accessible from the airport. 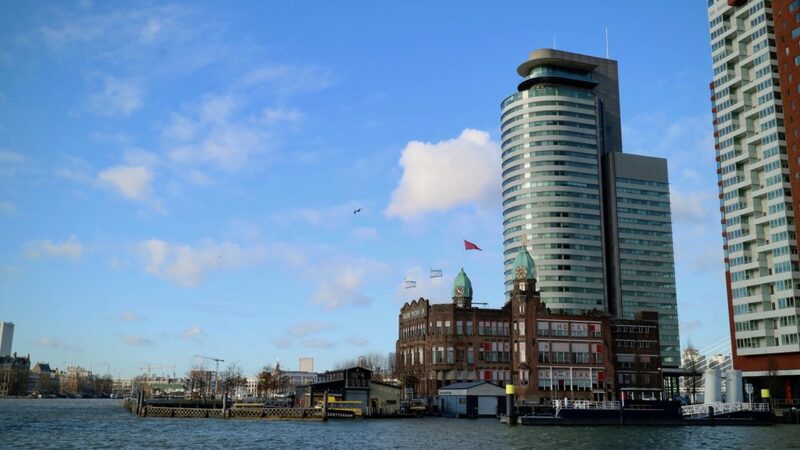 If you have never been to Rotterdam – the Netherlands second-largest city- then you should include it in your next travel list. Get ready to discover one of the most innovative and vibrant European cities. 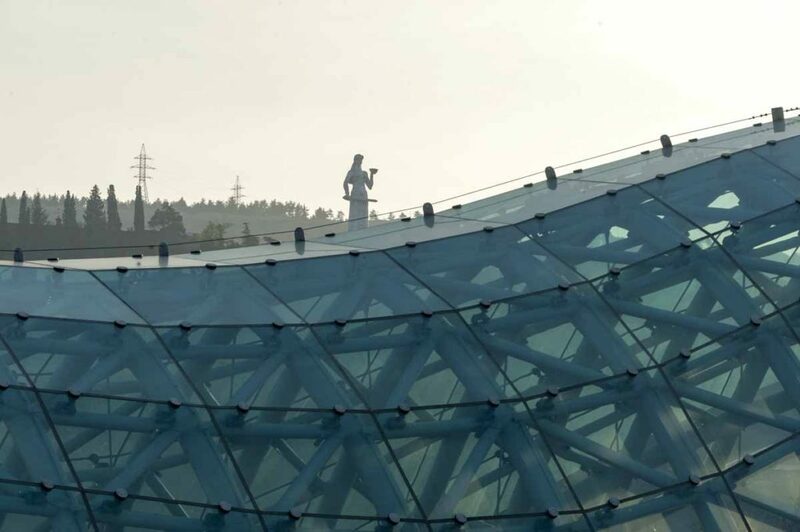 Its architecture scene attracts design aficionados from all over the world, who spend the day looking up at incredible examples of contemporary architecture. Visit the famous Piet Blom’s cubic houses, stroll around the Markthal, a mind blowing covered food market where you can find some fresh and delicious ingredients from all over the world, and walk along the famous Erasmusbrug. After being heavily bombed during World War II, the whole city is now experiencing an inspiring wave of modernity and creativity, becoming a real mecca for young and cool travellers looking for inspiring destinations off the beaten path. Chernivtsi is probably my best discovery in Ukraine so far. Abroad the town is mostly known as the birthplace of the famous actress Mila Kunis but that’s not the reason why I went there. A very vivid description in one of the books made me plan my trip to Chernivtsi right away and I didn’t regret it for a single moment. The town was just the prettiest, with the stunning architecture, the multicultural past seen around every corner (and especially at the beautiful local cemetery) or charming main pedestrian street lined with cafes – it stole my heart right away! 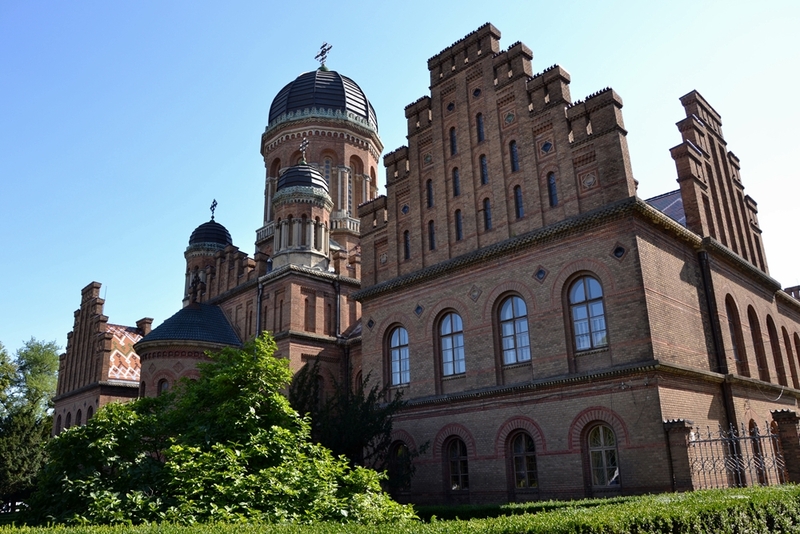 The biggest attraction of Chernivtsi, however, is the local university. The main building, that used to serve as the Residence of Bukovinian and Dalmatian Metropolitans, is listed on UNESCO World Heritage List. It looks just amazing, like from a fairy tale and Harry Potter movies could have been filmed there as well! There’re so many reasons to go to Chernivtsi but no matter which one you choose you’re in for a treat! The town is best reachable from Lviv, Ukraine, Suceava, Romania or Chisinau, Moldova. 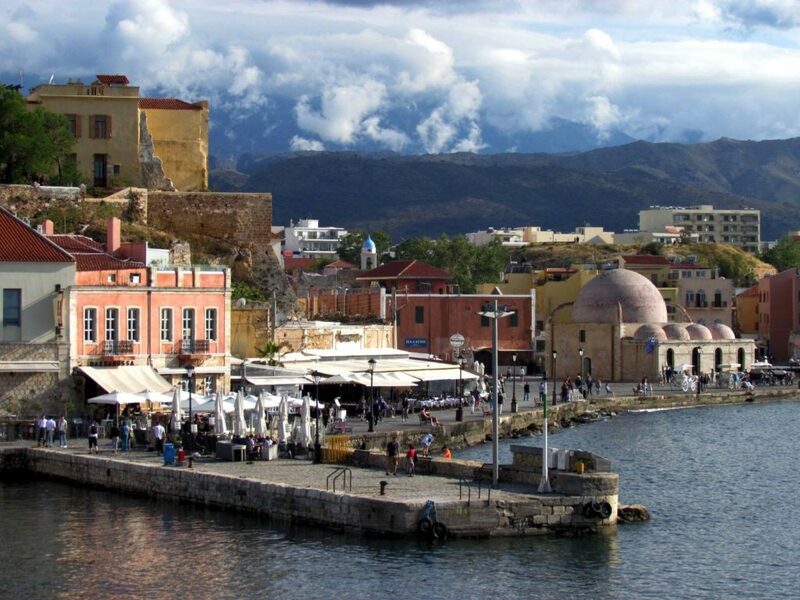 The second biggest city on the Greek island of Crete is a blend of incredibly diverse history, Mediterranean idleness and extravagant touristic services. The old town is squeezed around antique port with a lighthouse, renovated by the Egyptians in 19th Century. The classical cityscape in Venetian architectural style is accentuated by Turkish elements in recognisable Middle Eastern fashion; there is a distinct influence of all the passing empires: Arabic, Byzantine and Venetian, Ottoman Turkish and finally Greek. Visitors can stroll around various artisan shops, which notably differ from the usual souvenir shops, or enjoy the atmosphere by the cup frappuccino in a typical slow Greek manner. Three notable museums, Naval (Maritime), Archeological and the Arsenali Centre of Mediterranean Architecture are on-site, with gorgeous beaches and Samaria Gorge nearby. Of course one should not miss the one and only, delicious Greek food, which is a story on its own! Mostar took a piece of my heart the day we visited. It was in winter and there was hardly anyone around especially on the tourist area right near the bridge. We even got the absolute pleasure of being the only people standing on the famous bridge, Stari Most for a little while. Looking at the swirling water below it is hard to imagine people jumping off it in summer. You can look up the river toward town and see the spires of the Mosque with the colourful houses that line the bank which then lead onto the mountains. The little shops that line the streets leading to the bridge are full of beautiful little collectables and I must admit I came home with a few. We also sat and had an amazing lunch while looking at the bridge and the fast moving water. Although areas in the city are still construction zones as repairs are still being made from the war there are beautiful spaces everywhere, you just have to look out for them or you can get a local guide like we did to show us some more. I’ve loved Tbilisi from the very first time I visited at the end of an overland trip from Italy to the Caucasus. First of all, the city is spectacular when it comes to architecture, with lots of different architectural styles – traditional Georgian architecture in the Old City, Art Nouveau along Rustaveli Avenue and Soviet architecture elsewhere in the city. There are also many cool unusual things to do in Tbilisi – enjoying hot sulphur baths in the middle of the night, ziplining in the Botanical Gardens, drinking wine made in the same way as 7000 years ago on a rooftop, and naturally enjoying delicious Georgian cuisine! Photography lovers will also enjoy the fact that the city is surrounded by mountains, and you just need to walk uphill for 10 minutes or so to get wonderful views over the city! The amazing food scene is just one of the reasons to visit and fall in love with Bologna. 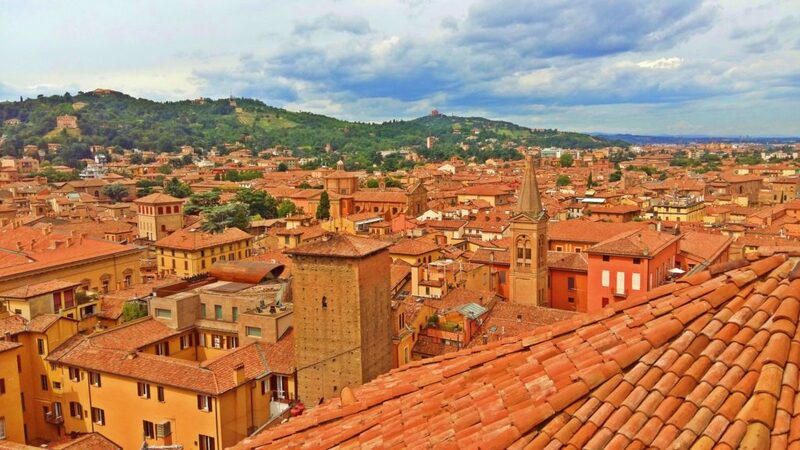 Bologna is the home of the Tagliatelle alla Bolognese, you can find all types of delicious Italian food, an awesome and addictive gelato and great wines. The city has a lovely atmosphere and the people are so nice and friendly. One of my favorite things to do was to just sit, drink cappuccino and watch the people passing by. Also, Bologna is such a beautiful city with all its narrow streets, porticoes and wonderful views. If you love Venice in Italy, then you must visit Triest too. I used to live there and like to call Triest as Venice’s sister town on the mainland. While there are many things to see and do, ideally I would plan 2 full days for a visit but you can also visit on a day-trip from Venice, by train or by boat. 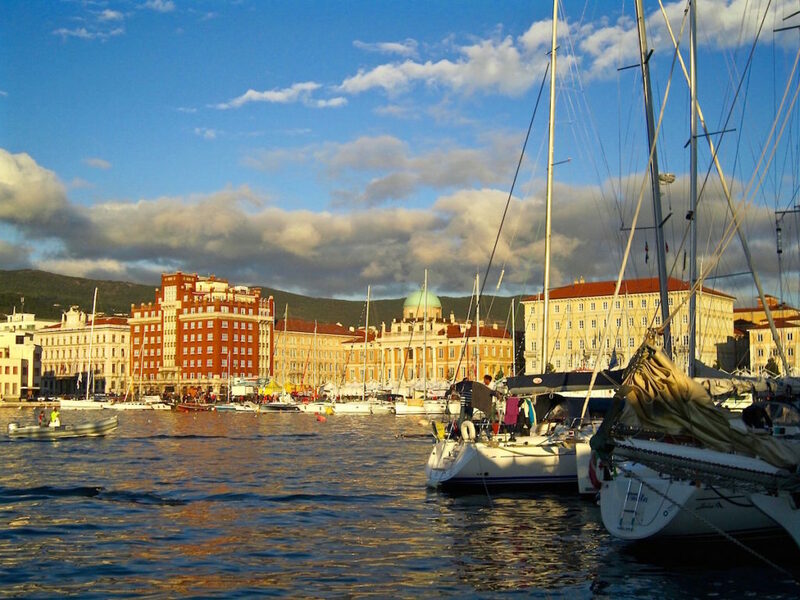 Triest is known for its beautiful Piazza Unità d’Italia, one of the largest squares in the world right on the sea. Moreover being nestled between the coast and the Karst hills it makes it ideal for great nature escapes. You can walk along its beautiful Costiera (coastal path) from Barcola to the Miramare Castle, to visit the imposing white castle perched on a promontory and surrounded by a lush green park, the castle used to be the summer residence of the Habsburg Royal Family. You can walk the Napoleonic Way or one of the many Karst trails or simply go on a uphill ride on the old Opicina Tram. If you love coffee and literature, than Triest will spoil with picturesque ancient coffe shops who host poetry, arts and literature exhibitions throughout the year. In fact Triest is one of the most important literature capitals in Europe. It was home and inspirational hub to many writers and poets over the past century from Joyce, Stendhal, Svevo, Saba, just to mention a few. So, if you love to discover a bit more the Italian Culture along with some great natural attractions, Triest must be on your trip itinerary of Europe. Cagliari, the capital of Sardinia, is often overlooked for the more famous cities of mainland Italy. Yet, those who visit remain enchanted by it. Cagliari is right on the Mediterranean, yet on the hills. From pretty much anywhere in town, it is possible to admire gorgeous sunrise or sunset views. There’s a few archeological sites right in the city – Villa Tigellio and the Roman Amphitheater being just two. There’s many beautiful churches such as the Cathedral and the Basilica di Bonaria, which also has a stunning historic cemetery. The historical centre is divided in four main areas, Stampace, Marina, San Giovanni and Castello: in all of them, there’s narrow alleys and colorful buildings. But there’s more. Cagliari is home to several lagoons, now regional parks, and the area is overall so pristine that it is the only place in the Mediterranean where pink flamingoes nest and live. Lovers of wildlife and birdwatchers will have a blast. Last but not least, Cagliari boasts some fabulous beaches (Poetto, not the best beach in Sardinia yet has a lovely waterfront; and Calamosca are just two of the best beaches in Sardinia); and there’s some incredible urban hikes just a couple of km from the center, that offer splendid city and sea views (head to Sella del Diavolo and Calamosca for that). Genoa is known worldwide as the city where Cristopher Columbus was born in 1451. At that time, the town was an independent place whose economic income came from maritime trades. Throughout the decades Genoa developed its centre from the old harbour, which still nowadays has a great charm. 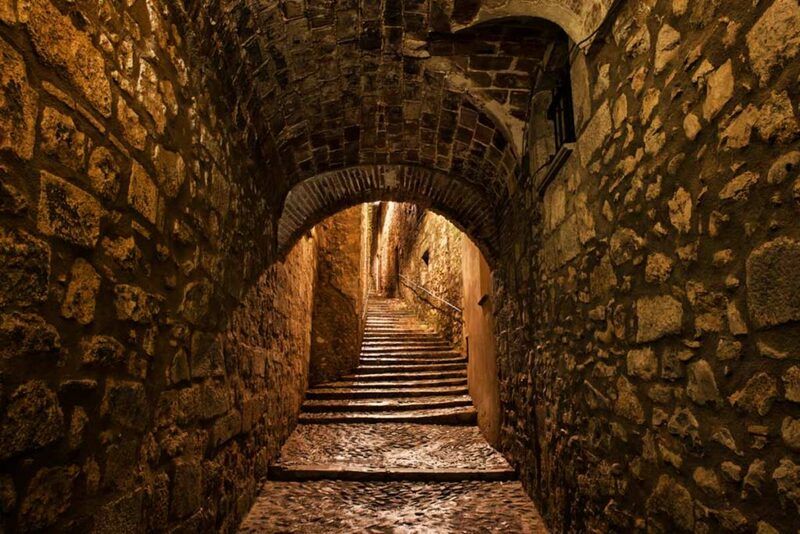 The old town is, in fact, a labyrinth of narrow streets called “Caruggi” where you can find the best restaurants. Genoa is the city of Pesto also, a great receipt mainly made of fresh basil, oil and pine nuts. Planning a visit to the town when the World Championship of Pesto take place, it’s a fantastic and yummy experience! 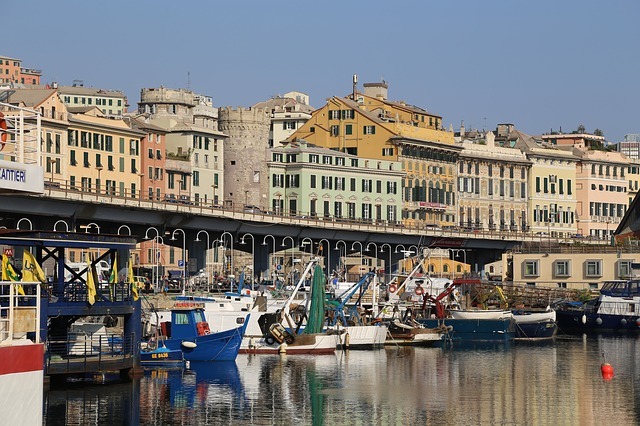 Among the best things to do in Genoa, tourists should plan a visit to the Aquarium and the Galata Museum (this is a fantastic maritime museum with reconstructed ships, a moored submarine and original artefacts). You can’t miss tasting “Focaccia” nor a boat trip seeing whales and dolphins in their natural habitat, in the International Pelagos Sanctuary. Naples (Italy) is the city where the sun is always shining and people smile no matter what. 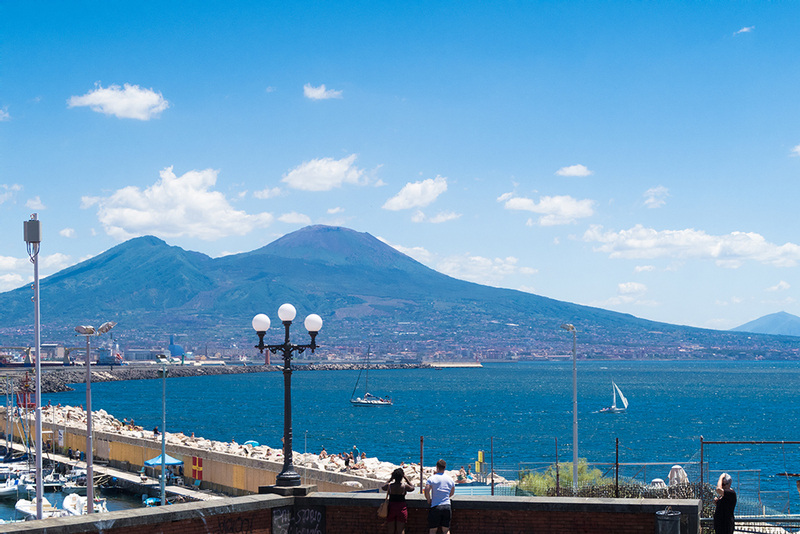 We are sea people, and in fact here everything revolves around the Gulf of Naples. Delicious seafood platters, romantic walks hand in hand on the seafront promenade, gelato on the sand, while getting a tan. While it’s famous as the city that invented Pizza Margherita (tomato sauce, mozzarella cheese, olive oil and basil), Naples is also a place of art and history: we have two huge castles by the sea (Maschio Angioino and Castel dell’Ovo), historical buildings and legends that the locals love to tell. Even if we don’t always speak the language, we always find a way to make you understand. Naples is in fact one of the friendliest, most welcoming cities in Italy: we really are happy to make new friends and being very proud of our city, we love to show tourists around! Liverpool is a city of amazing art, culture and history. The people of the city are some of the friendliest on Earth; you’ll always see a smile in this place. 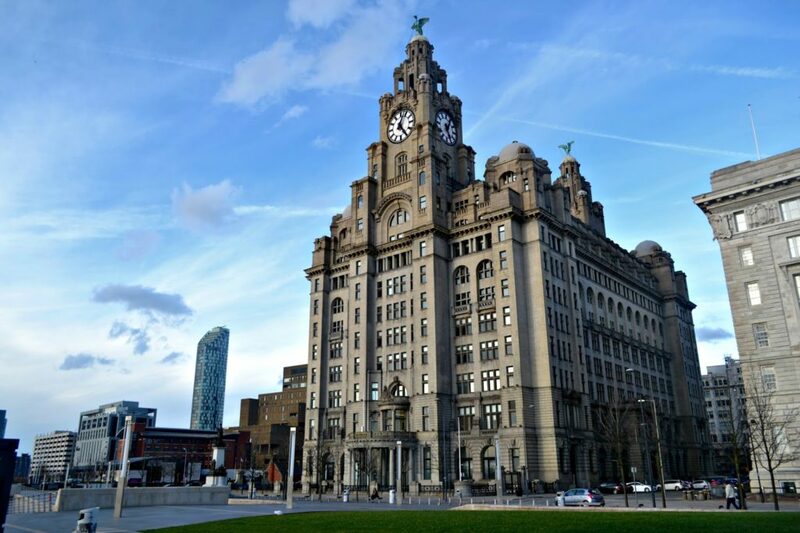 There are so many things to see and do whilst visiting the city, like checking out the famous royal liver building on the UNESCO World Heritage docks. Whilst there take a look at the Liverpool Museum and the Albert dock too. Home to the Tate Gallery, the Maritime museum and of course the Beatles Story, there’s something for everyone in this area. If you like music you’ll find Mathew St a real treat. Live bands play nearly every night of the week here, and it is home to the famous Cavern Club too of course! It’s so easy to get here and get around too. With Liverpool International John Lennon airport just outside of the city, and great metro train links around the area. Come and find out why Rough Guides has voted this city one of the best to visit in the World, you won’t be disappointed! Glasgow may not be Scotland’s capital but it’s the largest and is stylish and dynamic with loads to see. The city centre has some stunning Victorian architecture such as the Glasgow City Chambers and the Kelvingrove Art Gallery and Museum and the influence of celebrated Scottish designer and architect Charles Rennie MacIntosh can be seen on buildings all over the city. Glasgow is filled with an artistic and creative crowd thanks to the city’s two universities and this reflects in the type of unique independent shops, cafes and restaurants that line the three main streets and many back streets and alleyways. 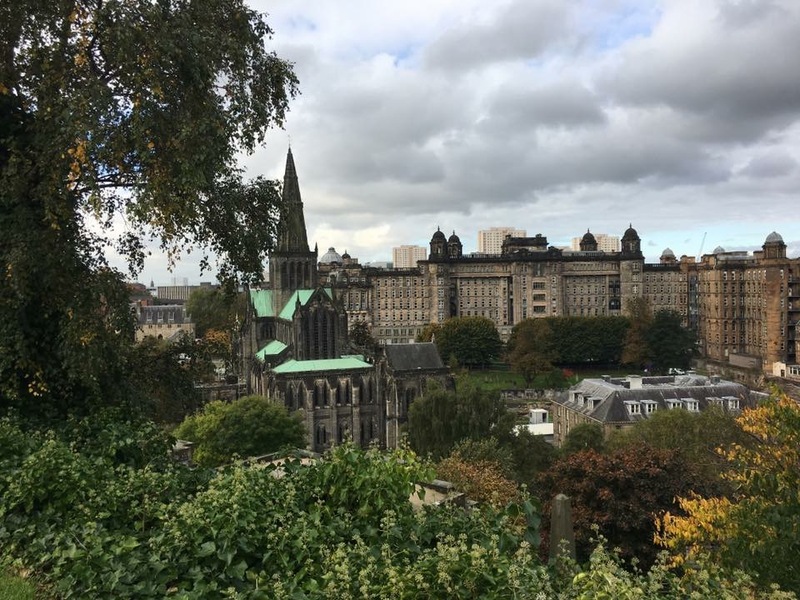 You can climb to the top of the Lighthouse or the Necropolis for outstanding views of the city’s rooftops, or head to the banks of the Clyde for some seriously instagrammable photos. Parks such as Glasgow Green or Pollok Country Park are perfect for a quiet stroll and when in Glasgow you can’t miss out on the amazing Mural Trail, the street art is fantastic. Yes beautiful may not be the first word that springs to mind when people think of Glasgow, edgy, quirky and lively are more likely but I happen to think it’s one of the most beautiful cities in the world. Cambridge is one of those unforgettable places that will stick in the minds and hearts of all visitors. Filled with so much history and character no visit will seem long enough. 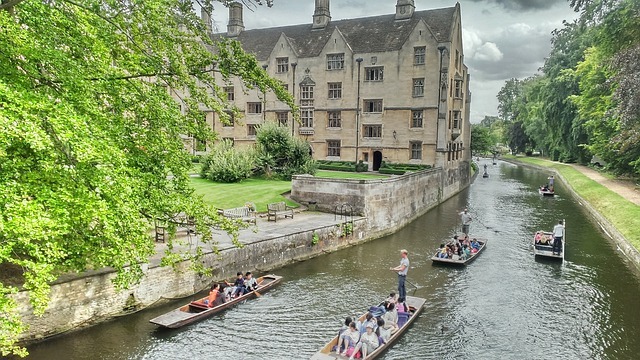 From the world famous Cambridge University, the picturesque River Cam and the 100’s of quintessentially British pubs, Cambridge really will keep you coming back for more. With 31 Cambridge University colleges spread throughout town, wherever you wander you’ll be surrounding by incredible architecture and history. You can spend days strolling through the college gardens and over the famous bridges. Cutting straight through the city, the River Cam is integral to Cambridge life. In the summer time there’s no better place to be than on a punt with a glass of Pimms and then a BBQ on the banks of the river. With pub gardens, greens and university buildings overlooking the water it’s the best place to get a feel for Cambridge culture. 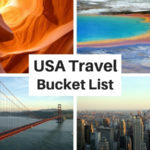 Hopefully this list introduced you to some new cities to visit in Europe. 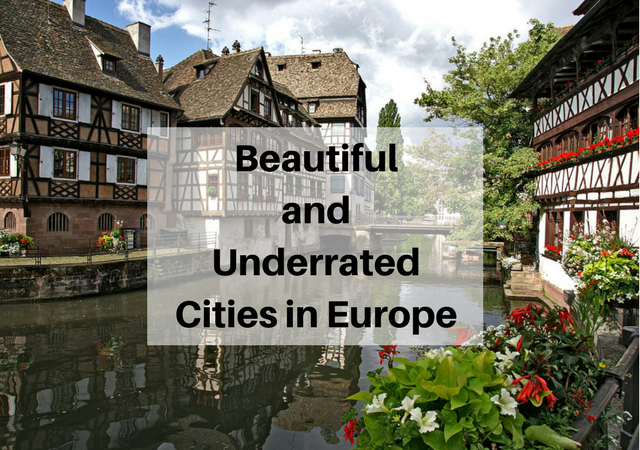 What do you think are the most beautiful but underrated cities in Europe? So many great ideas! Love them all (and especially Bremen, haha). But there are slso many other places I haven’t considered visiting yet, so great suggestion. Thanks! I’ve added so many places to my Europe travel list that I was not familiar with. What an inspirational list! Thanks for including our Ghent suggestion. So many gorgeous places to visit here. My bucket list is just getting longer and longer!